Please continue to pray as you have been this week. We will do our best to be here these hours, but it might be a good idea to call before coming . . . sometimes I am the only one here, and I get called away on another task. Thank you! We are in need of your ‘fervent prayer’ for our girls and families at Agape; God is moving in them! We are praying for a hedge of protection around them, as we all know the enemy is out to kill, steal and destroy. Please pray for God’s spirit to move mightily, redeeming and restoring lives and families. ~ God to send all staff, interns and volunteers that might be needed at Agape for September, according to God’s purpose and plan. ~ Our faithful volunteers: that over the Summer they are refreshed, relaxed and blessed for their ongoing support of this ministry. And for those in need, we pray for healing, comfort and strength. ~ The families that are considering Agape for their daughter for the 2018-19 school year; may they be filled with peace and hope about their decisions. ~ Our faithful supporters, whether they make donations, provide items needed, pray or provide services needed – we are grateful, and give all the glory to God for each one of you! ~ The girls who are able to re-unify with their families for the summer break. ~ A time of reflection and refreshing for our house staff as they take the summer off. Something new. It is coming! Do you see it? Or are you not even looking? With summer officially here, time will be enjoyed by all with vacations, summer camps, beach days, picnics and catching up with old friends. It is full. I admit to being caught up in the daily grind and all the fun to be had while doing so. I don’t always quiet myself to take the time to look at what’s to come. Then, when the new arrives and hits me square in the eyes, I question where that came from! But the truth is, God is always speaking to us, revealing Himself to us and showing us glimpses of what He has on the horizon for us. With our busy lives, do we make time to allow the new? I recently heard a bold statement that is still stepping on my toes ….. “If you are too busy, you are wasting God’s time”. That’s right: God’s time; not mine! Something new is coming. Do you see it? Are you using His time wisely? All the staff and volunteers who have made end of year clean-up and organizing for the upcoming year happen! A time of reflection and refreshing for our house staff as they take the summer off. The families that are considering Agape for their daughter for the 2018-19 school year. Connect . . What do you think of when I say this word? A few months ago, some of us at Agape House attended a movie by Kirk Cameron called ‘Connect’. It was very insightful as to what is going on in our world with regard to the use of social media, cell phones, etc. It’s too bad it was only available to see for a very short period of time because this is one of those movies I think everyone should watch. #1: I am the center of the universe. #2: I deserve to be happy all the time. #3: I must have choices. #4: I am my own authority. #5: I don’t need teachers/mentors; information is all that matters. WOW! Is this really the message we want our society to believe, especially our young people? I don’t know about you, but when my phone beeps, dings, rings or sings to me, there is a reaction in my head! It makes me think there is something important that I must deal with on that phone! And, if I allow that thought process to go one step further, it can make me feel important, needed, or special; not to mention the fact that it can be a distraction from dealing with what is really going on in my life. They went on in the movie to reveal the truths about the lies stated above. #1: GOD IS THE CENTER OF THE UNIVERSE. #2: WE CAN HAVE JOY IN ALL CIRCUMSTANCES THROUGH GOD. #3: CHOICE IS A PRIVILEGE; BE THANKFUL! #4: GOD IS THE ULTIMATE AUTHORITY. #5: SEEK GOD FOR WISDOM. “If you hold to my teaching, you are really my disciples. ~ people to be able to set aside their phones, and have face-to-face conversations with family and friends. ~ all of us to recognize the truth about what is happening in our society today, and to do our part to redirect everyone His truth. ~ God’s healing for all those who have been hurt/bullied/abused through social media, and change in how we use these modern day tools. ~ volunteers who have been helping with painting projects at Agape this past week as we freshen things up! ~ hope and healing in a hurting world. Lakeshore Estate Resale is a local charity that has been created to support local causes. They will accept “gently used” donations for resale, and all net proceeds from the sale of items you donate will be sent to the charity of your choice. Simply designate Agape House and your donation will benefit this ministry. And you can shop for yourself here, too! Isn’t this a great promise from God? With graduations going on everywhere, it is a good time to encourage our young people with this hope-filled message from God! Our graduation/recognition ceremony last week was a blessing as we had 3 young ladies receive their high school diplomas, and another one graduate from 8th grade! This is no small accomplishment for our Agape Angels, as they have much more to accomplish during their time at Agape House than simply a high school diploma. And this is where the ‘hope and a future’ looks dramatically different because most of our girls would not have completed high school if they hadn’t come to Agape House, seeking to overcome the affects of trauma in their life, in one form or another. Ultimately, the goal is that they come to know who they are in Christ so that they can walk out their days after leaving this program continuing to grow and change as God shapes and molds each one of them. ~ All of our graduates across the nation who are moving on to the next season in their lives, pray that they know who God is and that they are seeking to know God’s plans for them! ~ The girls as they have longer weekends with their families/respite care for the next few weeks, that they will recognize what they have accomplished in the past year, and see God working in their lives..
~ The plans God has for this ministry as we continue to follow the path He leads us on! Loving me more than anyone ever has. Helping my family grow closer with God and blessing us. Showing me how valued I am and how worth it I am. I got a lot of help on my schoolwork and I learned about God’s love. I learned there are seasons for everything and you will get through them. I have gotten so much help and support and feel loved and cared about. I have learned to be patient, to forgive and to love. Set goals and accomplished them. I learned how awesome life can be. I am learning to be a more godly woman. I learned to have patience. I am learning to trust God. Thank you for blessing my family and me with your kindness and support. You have helped me walk close with God and have brought my family together. ~ Volunteers from Brooklife Church who donated their time this past weekend to participate in a ‘Work Day’ at Agape House! The tasks they completed were many, and their service is greatly appreciated. ~ Hope and a future . . . such reassuring promises! Have you checked out the newest shop in Williams Bay yet? Lakeshore Estate Resale is a local charity that has been created to support local causes. They will accept “gently used” donations for resale, and all net proceeds from the sale of items you donate will be sent to the charity of your choice. Simply designate Agape House and your donation will benefit this ministry. Be sure to do some shopping for yourself! Saying Good-bye . . .
No RSVP Required; Light refreshments will be served afterwards! We stand back swallowed in life’s chaos that stirs around us, and miss the moments that matter as it all passes by. The chaos isn’t always bad, but it is distracting. So we watch and pray and wait and do. We do what we know how to do in our own strength. But God asks us rest in Him. He is the One who stands in the calm of chaos and directs our steps. In Him, His glory is revealed in us. In Him, we are able to be powerful. In Him, we accomplish more than we might ask our even think. In Him, we have watched these beautiful daughters of His do all that and abundantly more this year. In the midst of the daily chaos, our vantage point has been limited. But, in reflection of this past year, His abundance is obvious! ~ Peace during this season of transition. ~ Respite providers for the families and girls in need. ~ Discernment for upcoming opportunities within Agape House’s ministry. ~ Girls who are crossing the finish line stronger than any of us imagined possible! ~ Stronger family connections and bonding as the girls prepare for reunification for the summer months! ~ Mentors who are so creative with the time they invest in their relationship with their mentee! The beauty of new life all around us at Spring time gives us peace. I think we all need a reminder once in a while that it is possible to have peace, in spite of how things look in our secular world. Once we get to that place of peace within our spirit, the next challenge is hanging on to it, in spite of the troubles we face in our lives. At John 16:33 we are told to take heart because God has overcome the world! His promise is peace that passes all understanding. We may not understand it while we are walking in the storm, but we find peace. We trust Him knowing He will use the storm to nourish our soul. There’s been lots happening at Agape House this past week; see current photos on FB. ~ Peace: for our girls, their families, the world; and especially for our Mother’s as we celebrate Mother’s Day this weekend. ~ God’s plans for the future design of Agape House, and that we are walking in His will. ~ the girls to be able to accomplish what they need to in the next 2 weeks before graduation. ~ Peace in this world in the midst of the storm. ~ Patient staff at ‘crunch time’ in spite of tender emotions. ~ An amazing staff and volunteer corp at Agape School: we’ve celebrated Teacher’s Appreciation Week and all of our volunteers with a volunteer luncheon; we are blessed! 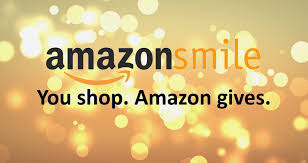 Choose Agape House, Inc. and Amazon donates money to our mission with every purchase you make! Thank You for a Successful 5K! We are very grateful to everyone who joined us for our annual 5K event last Saturday. As you can see in this picture, it was not raining or snowing – yeah! We had over 200 participants support us as we brought awareness of Child Abuse Prevention month to the community – the support for this event was tremendous! It’s that time of year again . . .at Agape House; we are walking amazed with God as we watch Him transform our caterpillars (the girls) into butterflies – it is always such a beautiful process! Max Lucado says, “God loves us just the way we are, but He is not finished with us yet.” God continues to refine us to help us be just like Jesus. Our girls are in a transitional time as they finish up these last few weeks of school, uncertain about what the future looks like for them. ~ Respite options for girls who may not be able to fully re-unify with their families this summer. ~ Endurance for staff as they minister to the girls in preparation of upcoming transition into their family homes this summer. ~ Ministry needs for the 2018-2019 school year. ~ A successful 5K event bringing awareness to child abuse and the impact it offers. ~ Girls who are achieving goals, beginning employment and other independent activities. ~ Grant monies awarded to Agape House from Alliant Energy Foundation. Thank you for your ongoing support and prayers for this ministry. Peeking out on the crisp white snow are these beautiful crocus flowers, giving us HOPE that Spring is here! – for our favorite team to win the game. – to go to our favorite restaurant with our friends this weekend. – our children bring home a great school report. – our car makes it one more year before it needs replacing. We hope and we hope and we hope. It is a normal reflex in our world to hope. Placing our hope in those things often leads to the disappointing outcomes as those things we hope for are not reliable. People fall short and things are unpredictable. Life, this side of Heaven, leaves us feeling heart sick. This side of Heaven that is. When we put our trust in Jesus, our hope is secured in Him. He never leaves us or forsakes us. So when the world fails to meet our expectations as it often will, we can rest in the Truth that He created us to persevere through the resistance and rest in Him. Peeking out of the crisp white snow are these beautiful crocus flowers. Trying to make their way into a world that was to be prepared for their arrival, they push their way through the opposition. They know where and when they belong even though it appears the earth is not yet ready for them. We have a lot to learn about hope from these budding beauties! ~ The families as they transition into more time together with the girls during weekly home visits. ~ The girls to .be filled with hope during moments of pressing into natural opposition so they may become who they were created to be despite the circumstances. ~ Our upcoming Run/Walk/Stroll 5K: Be Amazed With God. ~ Opportunities for the staff to connect and refresh through professional enrichment. ~ All who have signed up to participate in this year’s 5K event as we bring awareness about Child Abuse Prevention month! ~ Our volunteers who continue to be so faithful in serving the needs at Apape House. ~ Canopy Tours of Lake Geneva – Gift Certificate for Two for a 2.5 hour guided zip line canopy tour! Check-In at Event: 8:30 a.m. to 9:45 a.m.
For Valentine’s Day, the girls were treated to a fabulous Spa Day by many volunteers and Jasmine’s Salon & Spa in Lake Geneva hosted the event this year, which was a fun treat. After they had their time at the ‘Spa’, getting all dressed up, they were treated to a dinner out at Tuscan’s Tavern & Grill in Lake Geneva, which is where they are seated in the picture above, in front of their fireplace. And an extra special thank you to our Coordinator for this entire event: Barb Ditzenberger!